Chris Cornell, the grunge rocker famous for the bands Soundgarden and Audioslave, died on the evening of Wednesday, May 17, 2017 in Detroit, MI, his rep, Brian Bumbery, confirmed to The New York Times. He was 52. In a statement to the Times, Bumbery described Cornell's death as "sudden and unexpected," adding that the singer's family will be "working closely with the medical examiner to determine the cause." 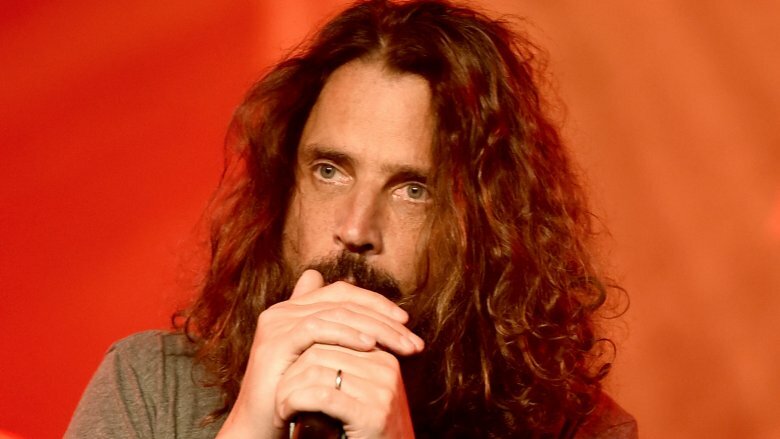 Mere hours before his death, Cornell posted a tweet letting fans know he had arrived at Detroit's Fox Theater for a sold-out Soundgarden concert that evening. The Seattle-born Cornell rose to fame in the early '90s as the frontman for the grunge band Soundgarden. Hit albums included Badmotorfinger and the five-times platinum Superunknown. Per the Times, Soundgarden broke up in 1997 before reuniting in 2010. In 2001, Cornell formed Audioslave with former members of the band Rage Against the Machine. The band's 2005 release, Out of Exile, hit number one on the Billboard 200 albums chart. Cornell also had a solo career, which included the song "You Know My Name," used as the theme song for the 2006 James Bond movie Casino Royale.